Mak Saito, a biogeochemist at Woods Hole Oceanographic Institution, has been selected for a Marine Microbiology Initiative (MMI) investigator award by the Gordon and Betty Moore Foundation. 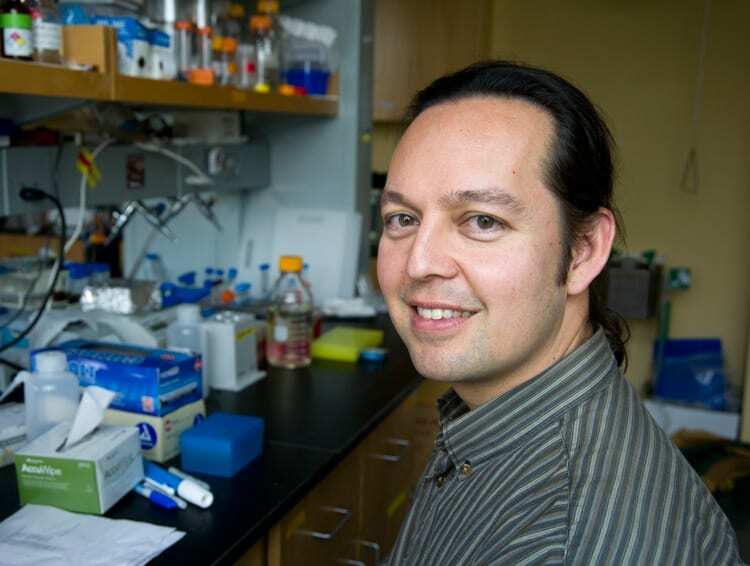 Saito is one of 16 scientists from 14 different institutions who will receive funds from a total of up to $35 million over five years to pursue pioneering research in the field of marine microbial ecology. The funding will enable researchers to explore how the trillions upon trillions of microscopic organisms at the base of the ocean’s food webs interact with each other and their environment. It will help scientists understand how the ocean’s most abundant yet smallest organisms affect the movement of nutrients in our oceans. The funding will also provide new insights—and lead to new and exciting questions—about our basic understanding of ocean ecosystems and pressing issues like climate change. Saito’s research focuses on the nutritional requirements of metals in marine microbes, with an emphasis on their proteins. Metals are essential components in biogeochemical reactions, and their intense scarcity in seawater can have a profound effect on major natural cycles, such as the carbon and nitrogen cycles, and has resulted in unique adaptations. In his work, Saito has developed and adapted sophisticated methods for understanding nutrient-microbial interactions using proteomics—a branch of biochemistry that allows studies of the thousands of proteins encoded by a genome present in an organism—and high-throughput sampling and analytical methods for low level trace metal measurements in different parts of the ocean. 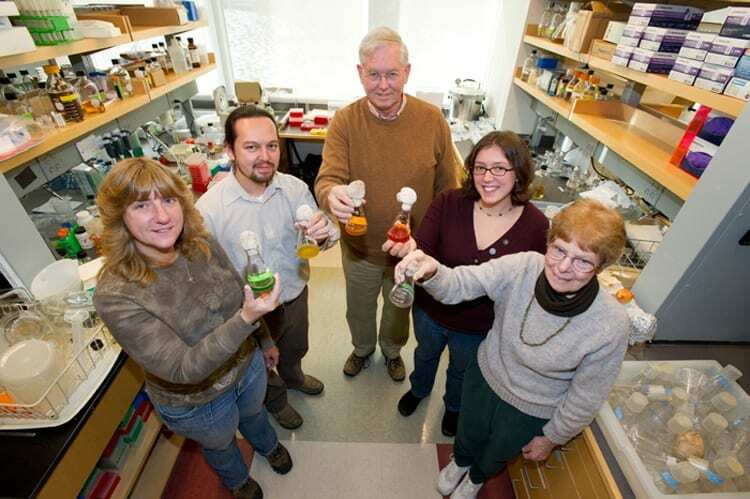 The Gordon and Betty Moore Foundation’s Marine Microbiology Initiative was launched in 2004. The current cohort of 16 investigators was chosen through an extensive review process that considered over 180 applications. A full list of recipients is available on the Gordon and Betty Moore Foundation website. “We’re providing some of the Louis Pasteurs of this field with additional, flexible funding—above and beyond that which they may already be receiving—to give them more freedom to pursue bold, new discoveries,” said Steve McCormick, president of the Gordon and Betty Moore Foundation. The Woods Hole Oceanographic Institution is a private, non-profit organization on Cape Cod, Mass., dedicated to marine research, engineering, and higher education. Established in 1930 on a recommendation from the National Academy of Sciences, its primary mission is to understand the ocean and its interaction with the Earth as a whole, and to communicate a basic understanding of the ocean’s role in the changing global environment. The Gordon and Betty Moore Foundation, established in 2000, seeks to advance environmental conservation, patient care and scientific research. The Science Program’s Marine Microbiology Initiative strives to deepen our understanding of marine microbial communities. As the smallest and most abundant organisms in the Earth’s oceans, marine microorganisms play a critical role in maintaining the oceans’ health and productivity. For more information, please visit www.moore.org. Follow @moorescientific.